Rox hasn't been playing very well at all so far this season. Way too many turnovers, point distribution is very bad, only Tmac and Yao breaking into the double digits most nights. There's no offense flow, Yao's passes are too slow and weak. Our power forward Scola is a no show. It might improve, but right now, we are not a championship caliber team. rockets are 6 -1. you two have glasses half empty! This is simply unacceptable. We barely won this game. We should have blown out the Bobcats with at least a 15 pt margin. The Bobcats are not that bad this season. They are 3-2 already. Not 0-5. But I agree this game shouldn't be this close. I wonder if the SF incident has anything to do with his teammates' poor performance. T-mac really needs to lose some damn weight. Guy looks like a Samoan out there. 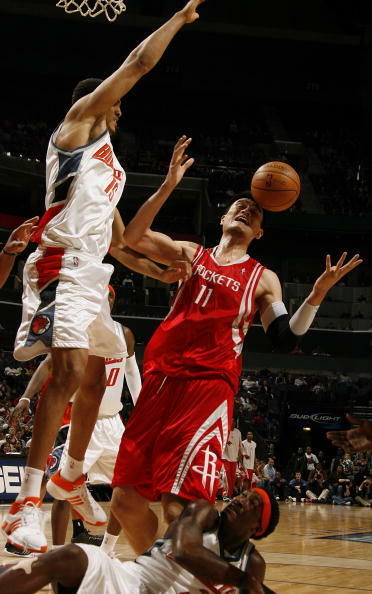 Yao is just so terrible when someone's trying to dish him a fancy pass... I think that's like half of his turnovers. 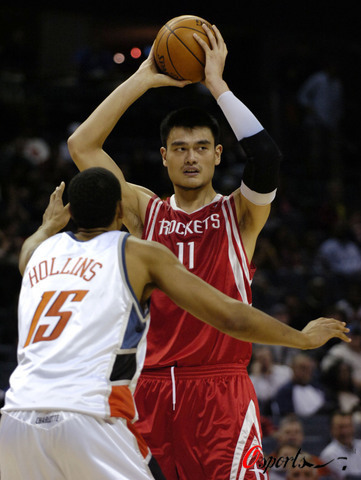 We all know that Yao is not a football wide receiver, so stop passing him those whip-style fancy passes! All of his limbs are so long, that it takes several weeks for them to be positioned to receive a pass! Although Tmac was great in the fourth, I felt that it was strategically unsound. Why? 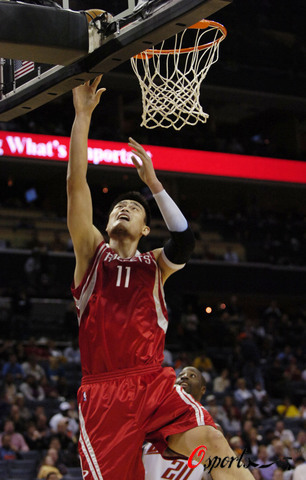 Because all night long, Yao has proven that charlotte cannot stop him. AND, his freethrows were excellent too. So in the final minutes, I would have preferred every shot going to Yao, who, instead of doing fadeaways, would lean into the basket to take the shot. Thus drawing mucho fouls! Isn't that a better strategy? Have your unstoppable tall guy taking every shot, and then drawing fouls, and then shooting 87% from the line? However, if Yao is being defended too well, THEN I want Tmac to takeover and drive/slash. I see things differently. Good teams find a way to win even when playing poorly. The Rockets are on the right track.